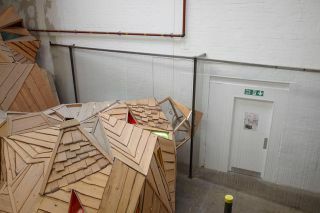 Credit : Courtesy Cell Project Space, Photograph Mariell Amelie. 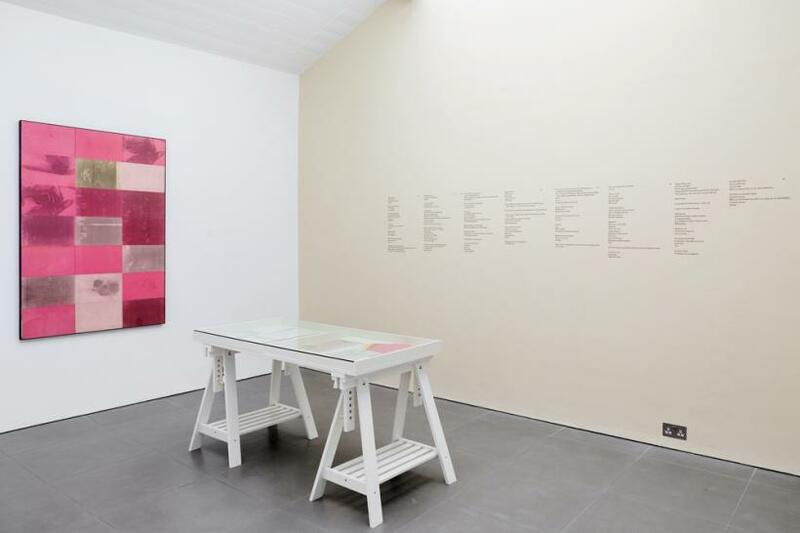 Curated by Laura McLean-Ferris, ‘Columbidae’, at Cell Project Space, looks at the mutable spaces of work and home, public and private, and how they interact with each other. 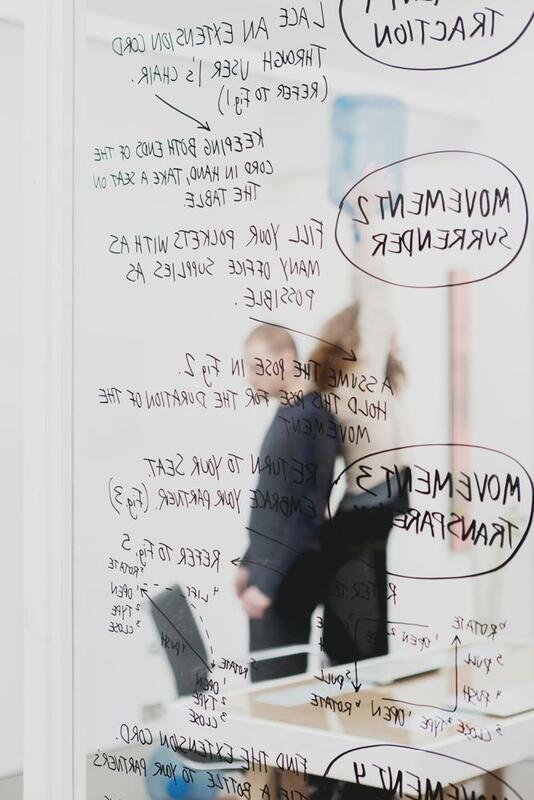 A dialogue between these is formed by performance, text, print and narrative woven together, exploring the effect of work on our body and mind and dispersing the subjects involved into a rolling narrative of anxiety-induced productivity with neither start nor finish. The effect is familiar and uncomfortable. 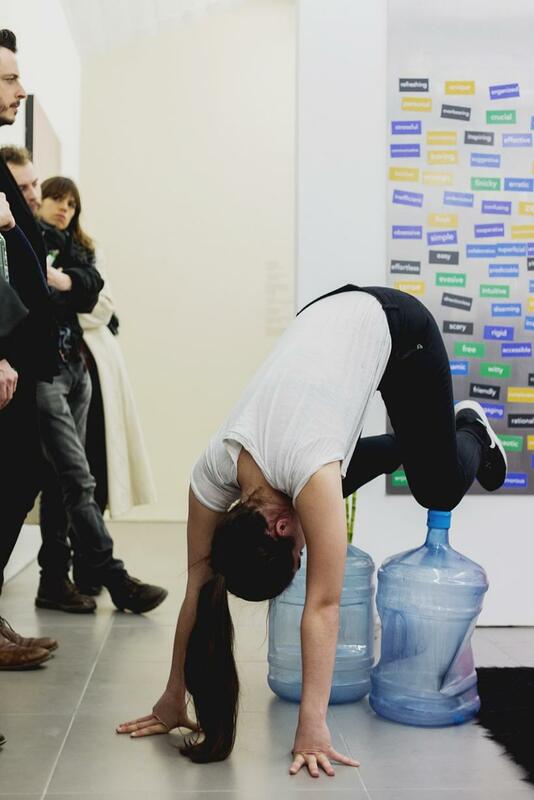 The exhibition is centred upon a three-person performance, ‘Office Riddim’ (2013-14) by Essex Olivares. In this performance a dialogue between an instructor enacts an awkward scenario of forced collaboration and flexibility as two ‘Users’ are directed to perform demeaning and ridiculous tasks using office props. Reading out directions from an iPad - also written on to the glass walls of the cubicle – the Instructor talks ‘User One’ and ‘User Two’ through a set of individual and collaborative pointless actions; balancing two empty watercoolers between their backs, attaching bulldog clips to their trouser legs, or moving furniture around. In the process, the performers become props, a feeling further enforced by the setting of generic office equipment including a pile of copy paper, bamboo twigs in a vase, and a set of motivational mottos on movable magnets. As the instructor paces around the space they direct the performers with statements like, ‘we’re reaching the end of our meeting, now time to reflect’, then using a numerical ranking system to assess the situation, the Users’ experiences are classified from one to seven, further depersonalising their experience and feelings. Work has changed and taken on the semblance of art. Instead of being a specific and limited activity, it has become an uncertain category and a precarious experience. It is now both more and less than when it was ideally balanced between eight hours of sleep and eight hours of free time. 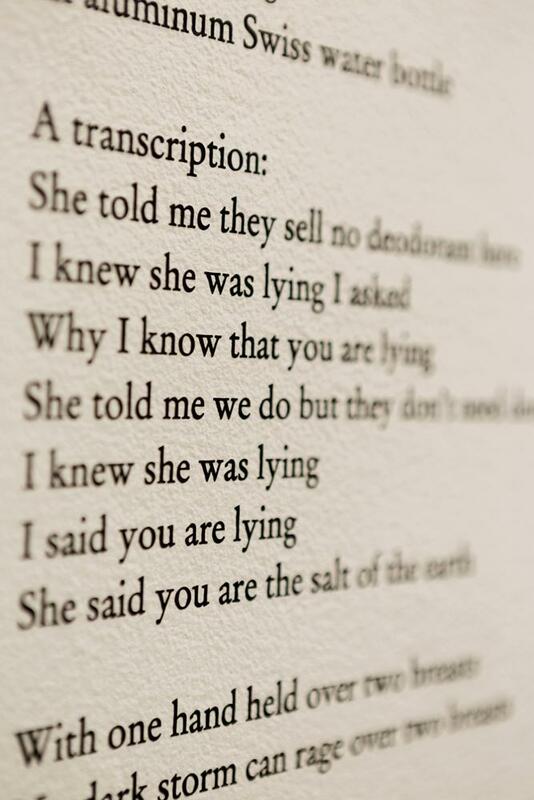 Illustrating this quote most clearly, Mélanie Matranga’s ‘Hand made situation’ (2015) uses small-scale works sculpted in ‘non-drying paste’ to describe the blurred boundaries and stressful situations that can result from the inextricable boundaries of life and work. 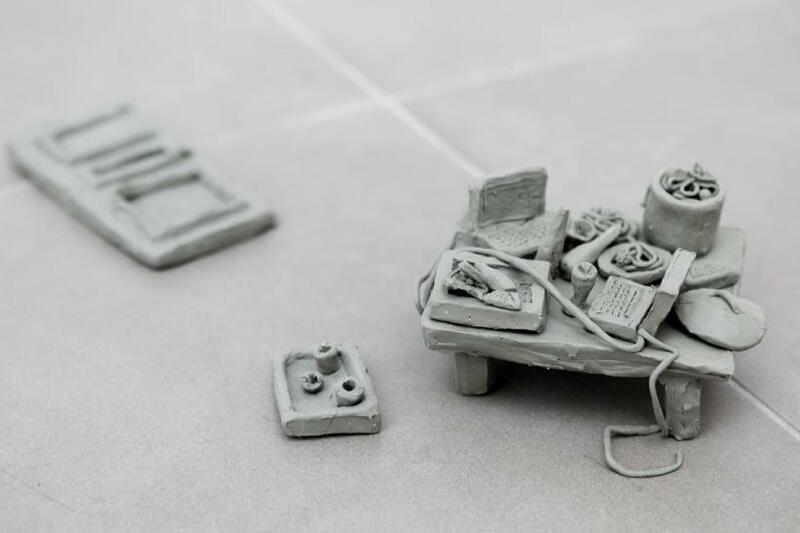 Rough clay sculptures sit on the floor depicting bottles, clothes spilling from a drawer, computers accompanied by mountains of leads. On the other side of the room a second, more chaotic clay work sits. This depicts a dramatic microcosm of work/life balance gone wrong. Laptops lie in a heap, one man lies face down on the floor while the others chain-smoke and drink - the consequence of connectivity out of control - work taken home, home taken to work. 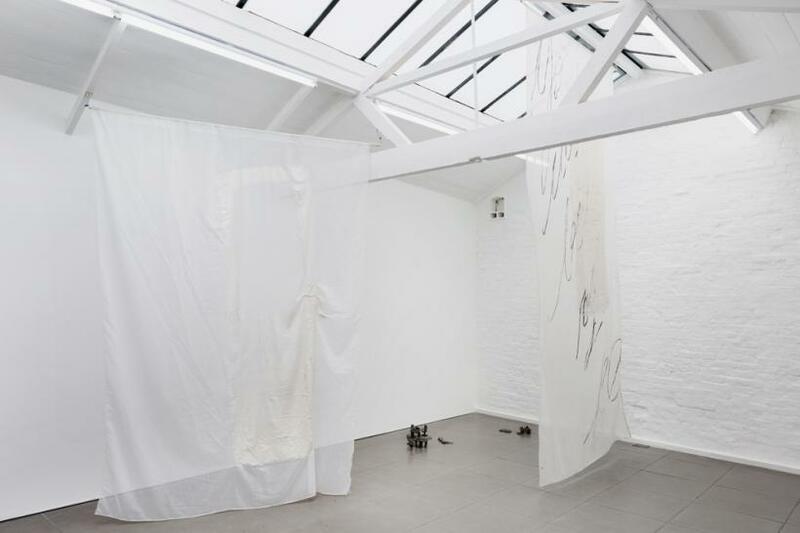 Matranga’s silkscreened scenographies, ‘Emotional not sentimental’ (2013), which conceal this second piece, are made from pale hanging fabrics printed with silicone impressions of doors. This creates a sense of flimsy division between the two spaces pertaining further to the unclear boundaries of work and home life. In the back room there is a vinyl transfer of Dena Yago’s, ‘Standard Remote’ (2011-2015). Yago sets the body as oblique – as if Yago were a body and language and nothing else - ready to be inscribed on to. Labour and the body are interwoven with no distinction between the two resulting in a fractured identity. A pause in an instant message. 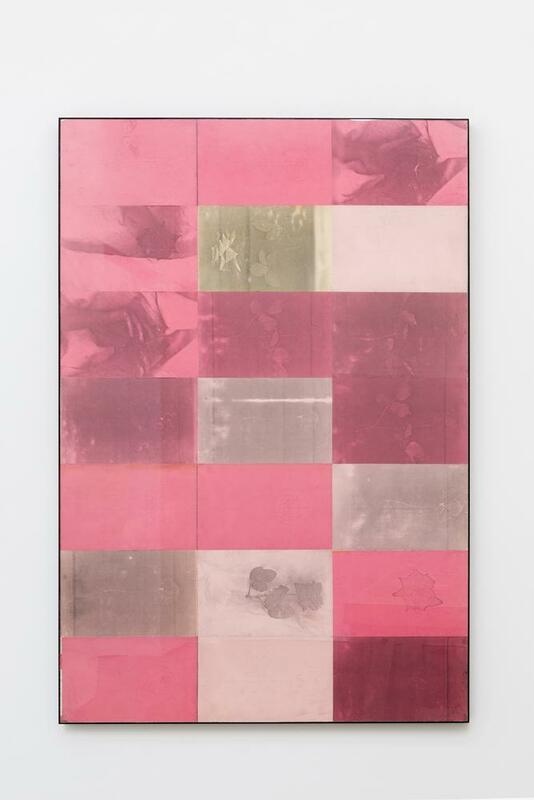 Written on a Blackberry, like a memo of consciousness, the work forms a contemporary backdrop to Barbara T. Smith’s ‘Xerox’ works. Made in the 1960s and displayed in a glass cabinet, Smith has experimented with Xerox technologies using a machine installed in her dining room. As a Pasadena housewife, Smith demonstrates the dual roles frequently enacted by women artists working as housewife and artist/worker – and the fragile balance of the two. 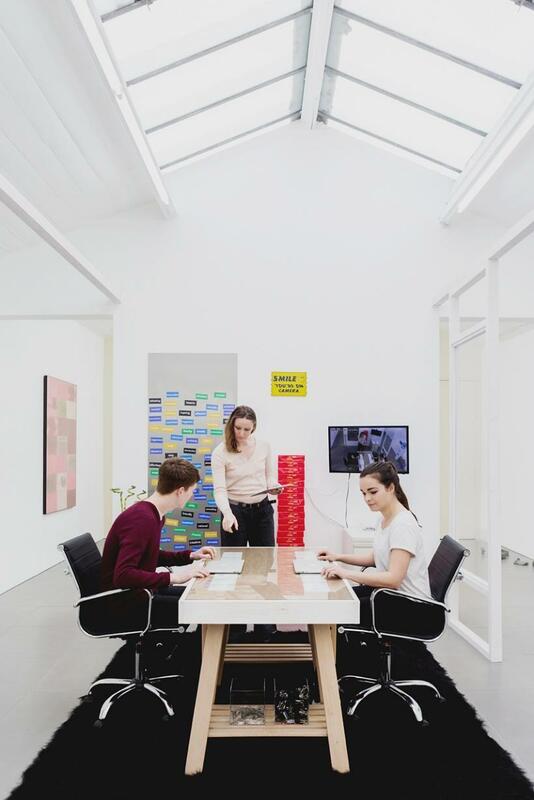 Demonstrating the tension between artistic and domestic labour, they create a commentary on workplace performance in post-industrial capitalism by bringing a piece of office equipment into a domestic space and turning her living room into an artistic studio/office. 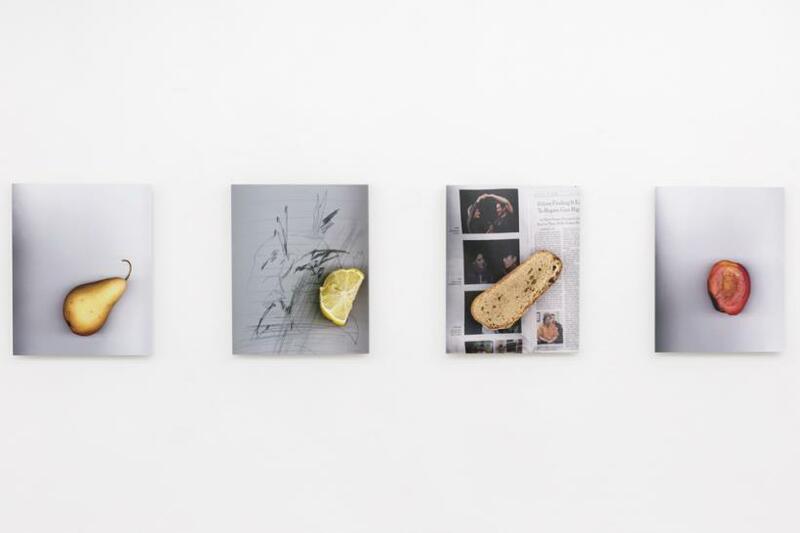 Displayed next to the cabinet, Yago’s prints engage in dialogue with Smith’s at a contemporary level by using images made on a flat-bed scanner of lemons, apples or ‘The New York Times’. 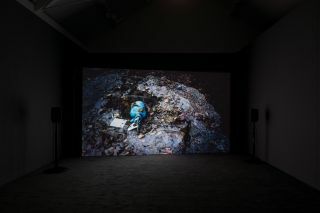 In ‘Columbidae’, McLean-Ferris has created a space that explores the ever-increasing pressures of balancing creativity with financial and temporal pressures when living expenses have become such that to live a ‘free’ creative lifestyle may no longer be possible. 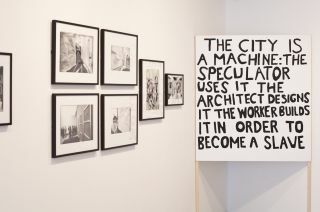 The exhibition describes a history of work and life collapsed, impacted further by exhaustive levels of connectivity designed to allow for greater mobility and locational flexibility. 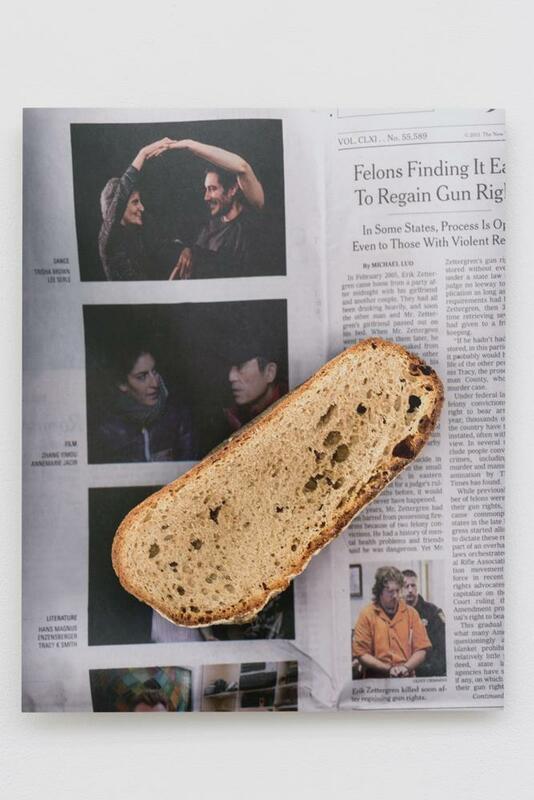 Ultimately, as this show demonstrates, this has led to an increasingly precarious lifestyle.